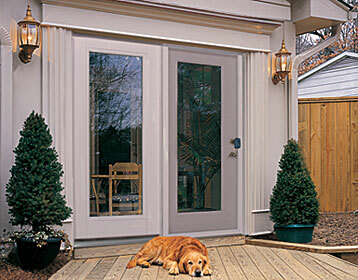 Secure your home and family with Therma-Tru’s value-priced Traditions steel French patio door. Our French patio doors are available in ready-to-paint decorative designs, with tough 24 and 25-gauge smooth steel and polyurethane foam core for durable energy efficiency. All patio doors feature a solid wood lock block for secure mounting of hardware, and a five-year limited warranty. You can select from 6’6″ or 8′ heights to best fit your home’s architecture.